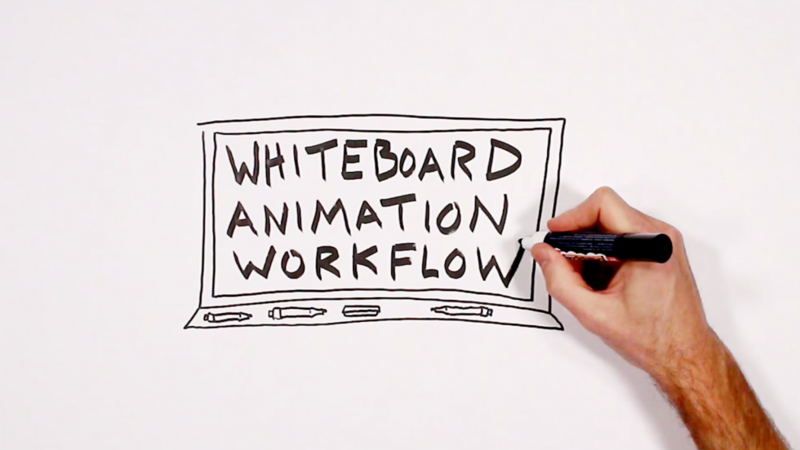 When it comes to sharing your ideas efficiently and effectively, few formats stand out the way that whiteboard animation does. 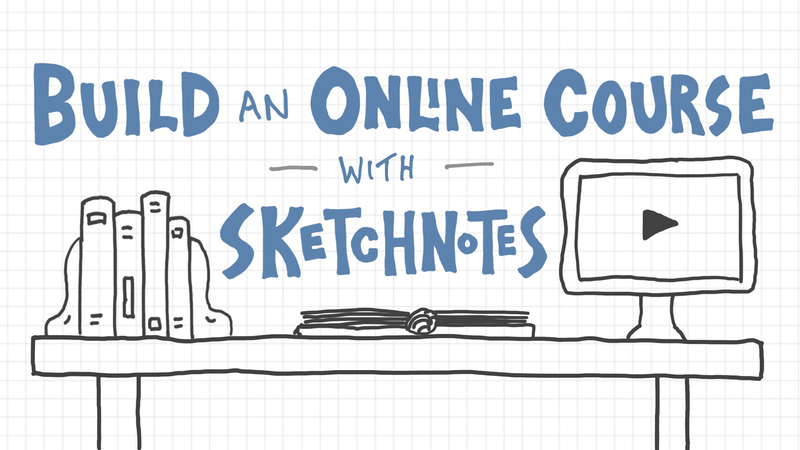 Here I’d like to share with you my approach for creating videos that merge hand-sketched visuals, handwritten words, and voiceover narration. 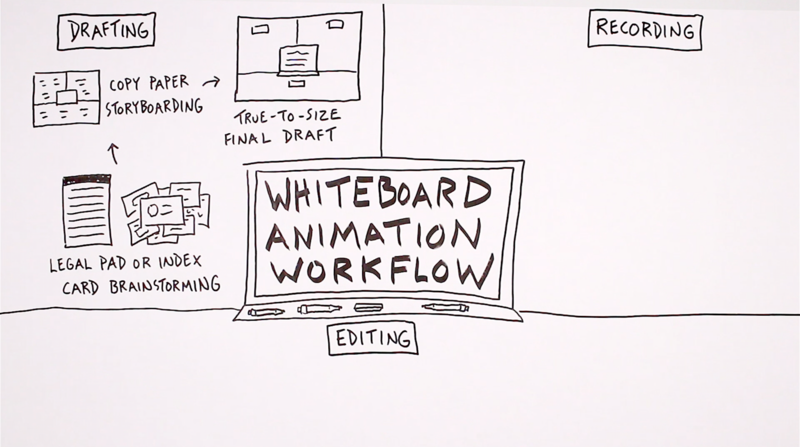 I break my process down into three stages: drafting, recording, and editing. Let’s take a look at each of those stages. I like to start this process with the cheapest and most dispensable materials: legal pads and index cards. It’s on those materials that I do my initial brainstorming. 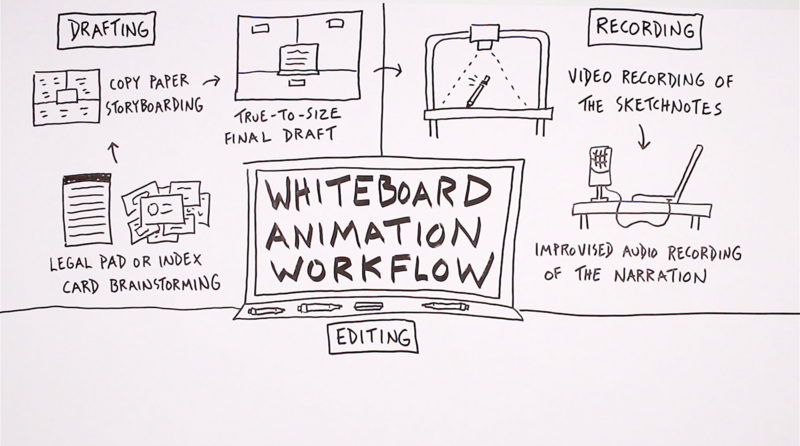 The first stage in creating hand-sketched videos: drafting. Once I have an idea for a video I jot down a bunch of sketches and phrases that I might want to include. I do that in a very rough way, nothing too polished, just to get a sense for the details I might want to share, how to represent those details visually, and what words I might include. Legal pad brainstorming of ideas and images for this video. From there I move to the second step in the drafting stage (still using cheap materials, in this case copy paper) to do a bit of storyboarding. I tend to stick to a single frame per video, so I treat that 8.5 by 11-inch page as my frame as I start to get a sense for the overall layout of what I want to share. Often times, since the details of the imagery and the text are already included on the legal pad or index card, I don’t even include those details on the copy paper. At the copy paper step my primary goal is just to get a sense for the layout – how to organize the ideas on the page. Once I feel pretty good about that overall layout, I grab a big piece of poster paper to create a true-to-size final draft. At this step I’m working with the same materials that I’ll use when I actually go to record the video. With that final draft I include all of the images and text that I intend to sketch out when I record the video. That helps me get a feel for what I’ll actually be able to include within the single frame. Once I’ve completed that final draft, I pick it up off my desk and tape it to the wall in front of me, and that’s what I use as a reference when I then record the sketchnote. Even at the recording stage, I do the sketchnoting free-hand, without any pencil marks or guides on the page. But I do have my true-to-size final draft right in front of me, so it’s this back and forth of looking up at that final draft and then down to the page to decide where to make the next mark. I’ve shared the specifics of my overhead shooting rig in another video, so check that out if you’re interested. 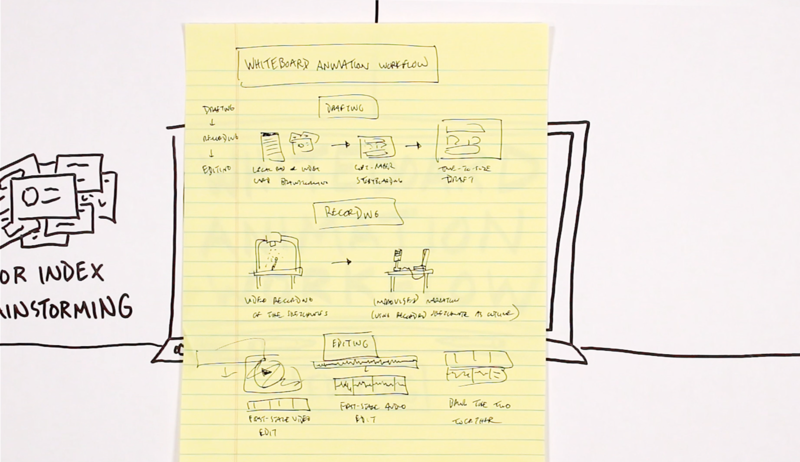 Stage two for creating whiteboard animation videos: recording first the sketchnotes, and then the audio narration. Once I’ve completed that video recording of the sketchnotes, I then move on to the next step in the recording process: I hook up a podcasting mic to my laptop and record the audio narration. I used to script that narration, but I’ve actually come to enjoy the process much more when I improvise it. Since I’ve got the completed sketchnotes that I just recorded, those visuals provide me with an outline to that improvised narration, so I simply talk through each step. Often I’ll go through multiple takes to say the thing the way that I want to say it, and even though that sometimes is frustrating, I still enjoy that more than reading from a script. I think it adds a bit of authenticity: the videos feel more natural when I improvise the narration compared to when I’m reading from a script. From there I move on to the editing stage. 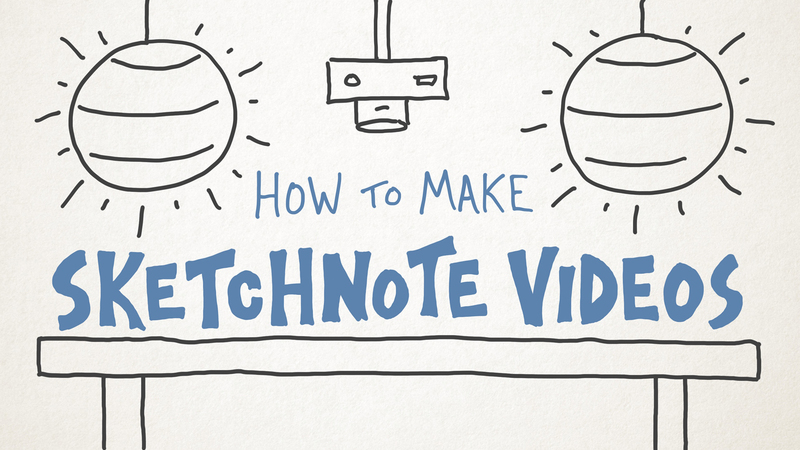 I edit the sketchnote portion of the video first, using Adobe Premiere Pro. At first that video is just one or two long strips on the timeline. What I first do is break that one long clip into a bunch of individual clips, each time my hand enters and then leaves the frame. Bringing the visuals and the narration together in the final stage: editing. Once I’ve completed that first-stage video edit, I then take a look at the audio. I do a tiny bit of touching up the audio in Adobe Audition and then pull it into Premiere to complete a similar process as what I did with the video, cutting out all of the white space in the audio (since I do pause frequently when recording to think about what I want to say next). I also cut out all of the false starts – the times when I have to go through three or four or five takes to say the thing the way I want to say it. From there, with some clean video clips and clean audio clips, I then bring the two together. I listen back to the audio and speed up each of the video clips to be in sync with that audio, so that the things you see me drawing and writing match up with what you hear me saying. At that point I’m ready to export the video and either upload it to YouTube and Facebook if it’s a public video like the one above, or upload it and add it to the latest lesson within one of my online courses. I’ve come to enjoy this format quite a bit as a storytelling and instructional tool. My approach isn’t as fancy or as artistic as something like RSA Animate, but I’m okay with that. I feel like I’ve gotten to a point where there’s the right amount of simplicity to my process that still allows for some decent storytelling and (I hope) helpful instructional materials. 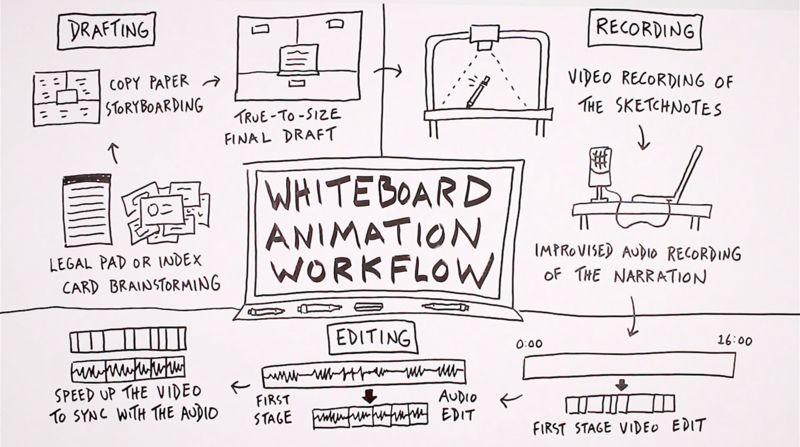 I encourage you to try creating your own whiteboard animation video! Feel free to run with the process that I’ve outlined here, and tweak it as you see fit. 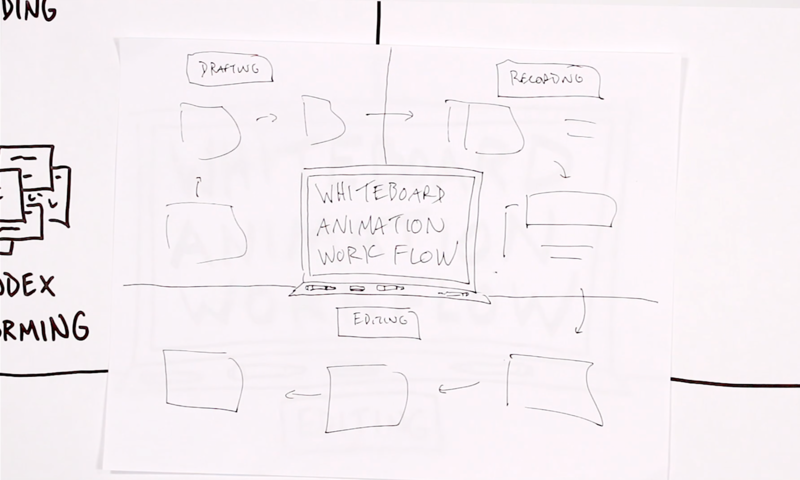 Learn every step in the video creation process with this course. Create a transformative educational experience. To save a bit of money, check out The Online Entrepreneur course bundle, which includes four of our courses and 18% off the price compared to buying each individually. I hope you enjoy experimenting with this style of video!